The largest bear in the world and the Arctic’s top wildlife predator, polar bears are a powerful symbol of the strength and endurance of the Arctic. But this mighty species is at risk as sea ice – its primary habitat and the foundation of the carefully balanced Arctic ecosystem – is melting beneath their paws. Its Latin name, Ursus maritimus, means 'sea bear', an apt name for this amazing species which spends much of its life in, around, or on the ocean - predominantly on the sea ice. At least two thirds of the world’s polar bears live in Canadian territory, giving Canadians a special relationship with and responsibility for these bears. In Canada and across the Arctic, WWF supports polar bear studies that determine the number of bears in the 19 sub-populations, the health of bears, and state of sea ice habitat. This research sometimes includes attaching satellite tracking devices to the bears, to help us understand their movements and habitat requirements. Take a look at the map below to learn more about the polar bears we are currently tracking! Why is the polar bear important? As an apex predator at the top of the food web, polar bears can signal that there are problems in the Arctic marine ecosystem. They are likely to be among the most significantly affected species as the Arctic warms and sea ice melts. Polar bear (Ursus maritimus) sow and two cubs walking on ice and snow in the Arctic National Wildlife Refuge, Alaska. 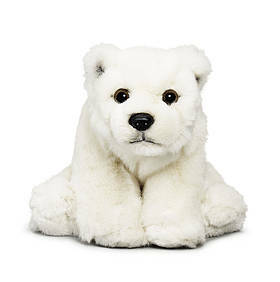 Your symbolic adoption helps us to safeguard the polar bear now, and into the future. The polar bear’s future is inextricably linked to its sea ice habitat. As climate change continues to reduce the summer extent and winter thickness of sea ice, this presents a real long term threat to the species – less ice will mean increased conflict with humans as bears spend more time on land and seek new sources of food. The ice is much more than just a platform to move and hunt – sea ice is the foundation of Arctic marine life, the ecosystem on which bears rely for every aspect of their lives. 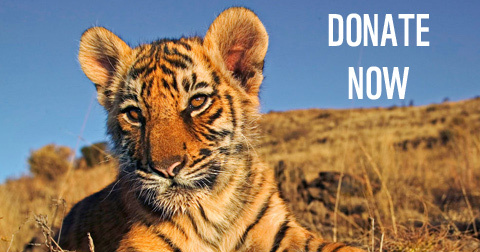 It is where they mate and raise their cubs. Sea ice is also essential habitat for their primary food, ringed seals, as seals pup and rest on the ice. Polar bear (Ursus maritimus), standing on the edge of the ice and looking up, Spitsbergen, Svalbard, Norway. Most polar bears spend their entire lives on the sea ice, and they have evolved to thrive there. Their thick under-fur, guard hairs, and ability to store significant fat keep them warm and powered up over the cold, dark winter months. Their massive paws spread their weight evenly to keep them from falling through snow and thin ice. They have the patience to wait hours for a seal to emerge at a breathing hole and the strength to punch through two feet of compacted snow. Some of the best studied polar bear sub-populations are spending more time on land. As sea ice decreases at a rate of about 4.6% a decade, polar bears at the southern edges of their range – like those in southern Nunavut, Manitoba and Ontario (yes, Ontario!) – spend five to six months on land, with very few seals to eat. 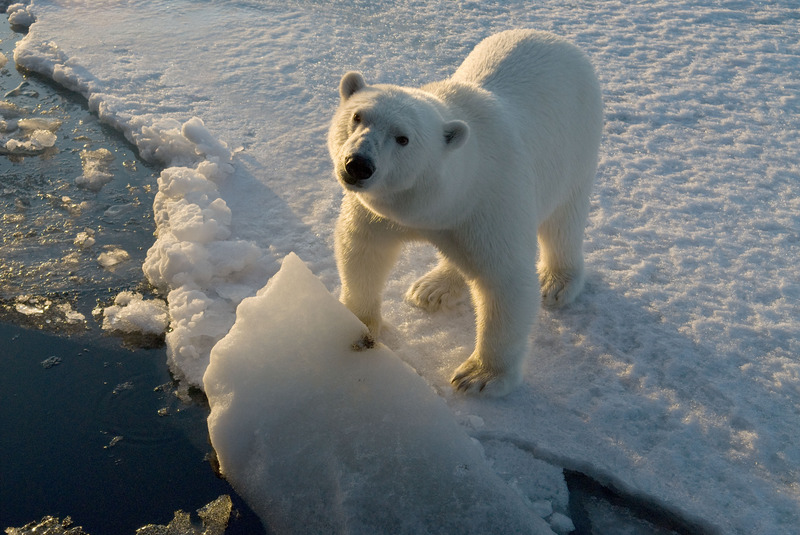 Without sea ice and seals, polar bears are left to search for other food sources. This can lead them into communities, where garbage dumps, sled dog yards and human food storage offer easy pickings. Bears in communities often create conflict between bears and people – bears threaten the safety of people and their property. 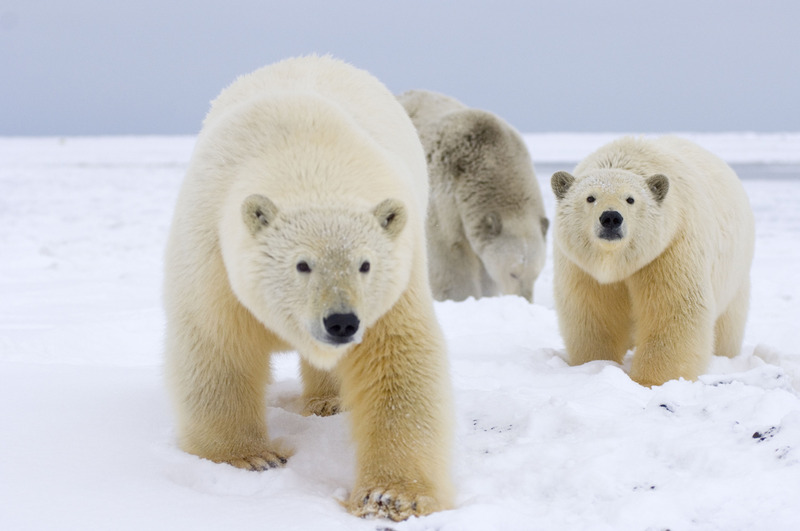 Communities, government and WWF are working together to reduce human-polar bear conflict. 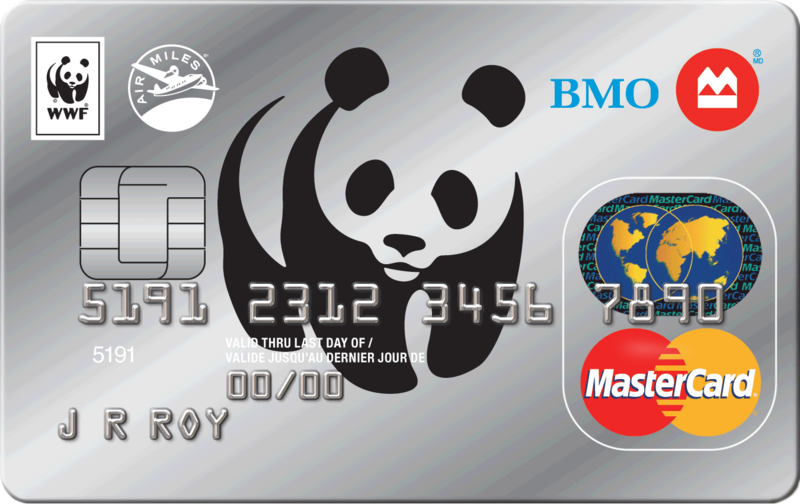 Learn more about WWF’s work to keep polar bears and people safe. From supporting research to tracking polar bears, we are learning all we can about these Arctic icons, so we can create more effective conservation plans for the polar bear and its habitat. The Arctic is changing at an unprecedented rate, and these changes are beginning to affect polar bear populations, and are expected to have an even greater impact as the Arctic continues to warm. Many have asked if the bears can adapt, and it’s a question that scientists are exploring. Current knowledge shows that polar bears have some capacity to adjust to the warming Arctic, but the loss of sea ice habitat may be happening too rapidly to allow for adaptation and there are no substitutes on land for the fat rich seals on which the bears depend. 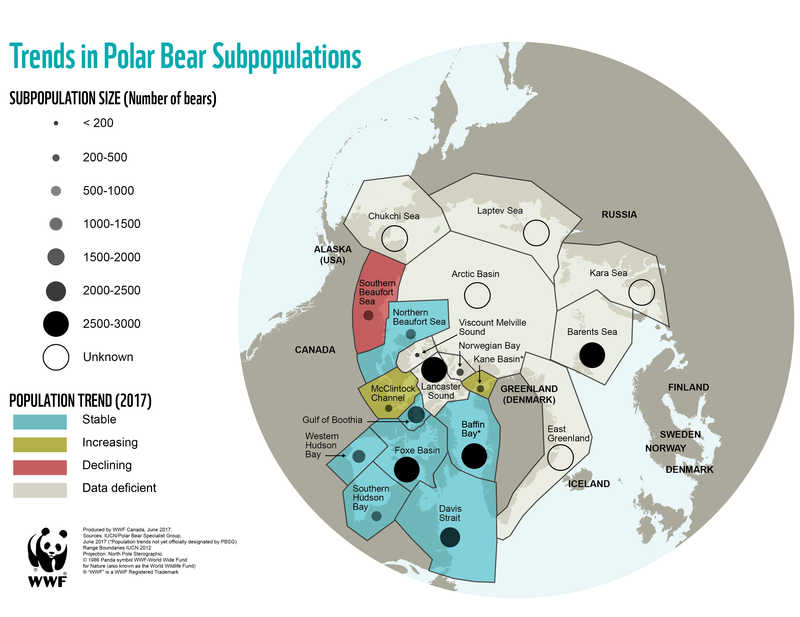 More northern polar bear populations may have an advantage, as the rate of sea habitat loss is lower - at least for now. Learn more about WWF’s efforts to determine where the sea ice will be most resilient, the Last Ice Area, and what this will mean for polar bears. 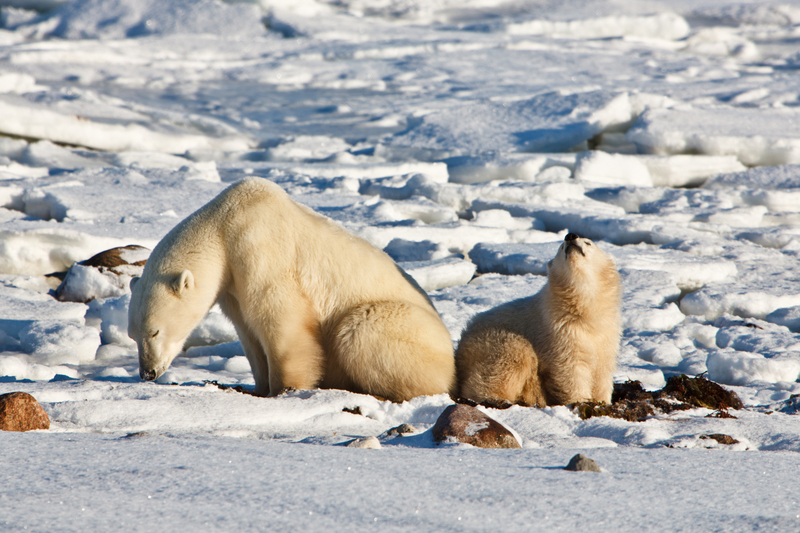 To better understand the impact of oil spills on Canada's Beaufort Sea, an important habitat for polar bears, WWF has completed an oil spill trajectory modeling project. Explore the risks of oil spills for communities, wildlife and ecosystems in the Beaufort Sea at arcticspills.wwf.ca. A female polar bear (Ursus maritimus) and her cub sniff the air and the snow near a bed of kelp, waiting for the winter ice to form in November, near Churchill, Manitoba, Canada. The level and pace of change is new to the Arctic, and all involved are working to understand what it will mean for the future of the region and all those who call it home. Inuit are cautiously optimistic that polar bears will adapt to a changing climate and have reported local increases in polar bear numbers in some areas of the Arctic. There is a need to use both Inuit knowledge and scientific information to plan for a healthy future for polar bears and people in the North. What is certain is that polar bears will face a difficult future without sea ice, which has been the foundation of their lives for hundreds of thousands of years.